Do you have a 911 Speaking Emergency coming up? While I passionately believe the Immersion is the best way to prepare, our full-up classes often make it hard to schedule in time for your big day. 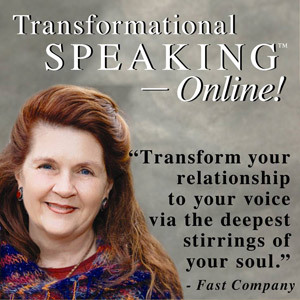 Now you have a second option: Transformational Speaking–Online! With either program as your foundation, you’ll come to private coaching knowing your inherent gifts, core message, and best stories in preparation for your looming opportunity! So, if you have an important presentation scheduled before the next available Transformational Speaking Immersion, please call me at 505-986-8650. My private coaching fee is $500/hour. We can work in person in Santa Fe, by Skype, or by phone (recorded call so you have the coaching session for your review). 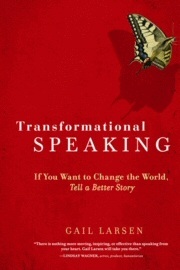 To prepare for coaching, I will ask you to read my book where you will find everything you can do on your own: how to write a speech that will “speak” to your particular audience, how to find and develop your stories, tips for public speaking, how to deal with the fear of public speaking, plus understanding the energetic dynamics of speaking and how change happens. It will stir your creative fire. I welcome your call at 1-505-986-8650 to explore the best approach* for you: The Immersion, The Online Academy, or private coaching. Trying to decide which approach to choose? I truly believe the results of private coaching pale in comparison to what you will receive from committing to the Immersion or to Transformational Speaking–Online! Why? • I’m going for transformation, not incremental change. I consider private coaching an emergency measure and not a substitute for the strong foundation you establish in Transformational Speaking. • You don’t yet know your best material and the stories that will bring it alive. Getting beneath what has worked in the past to the heart of what you want to say is like peeling an onion. In the Immersion or the Online Academy, the processes get you out of the jet lag of your life to discover what you want to say now. Plus, in the Immersion, the ongoing coaching and the powerful synergy of a small learning community is unmatched. • Working with speech structure and “presentation skills” pales in comparison to getting to the heart of who you are, what you have to say, and your singular way of saying it. 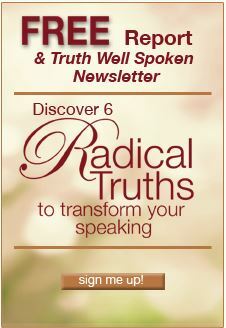 When you complete the Transformational Speaking training, you are connected to your Original Medicine, your true gifts, and have acquired the trust and tools to create and deliver new presentations as opportunities arise. When you return for coaching, it is typically to experiment with a brand new idea or direction. Even then, our work together serves as an enlivening reminder of what you already know!